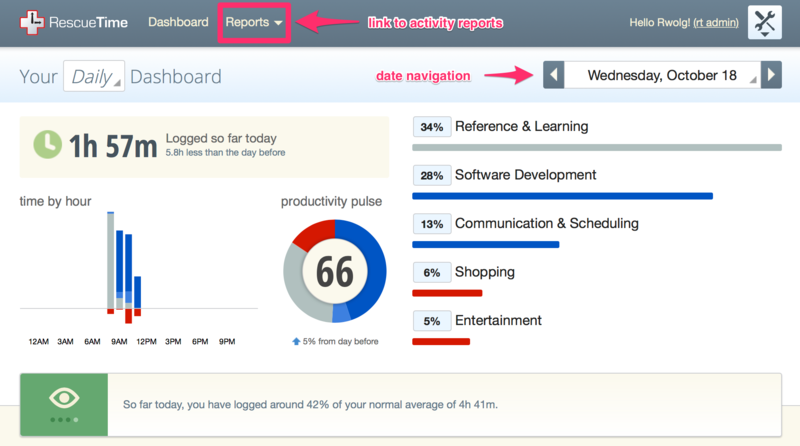 The Dashboard is your RescueTime homepage. 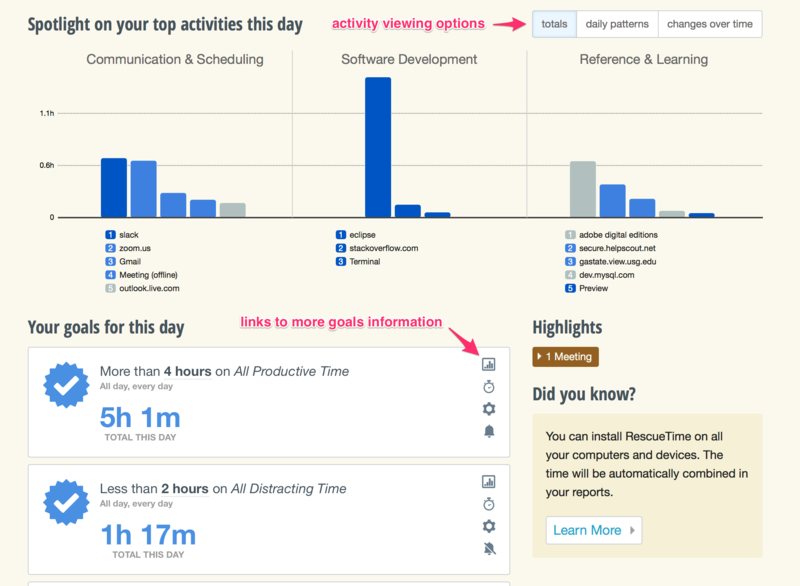 It displays the time you have recorded for the day and it breaks this down by category. 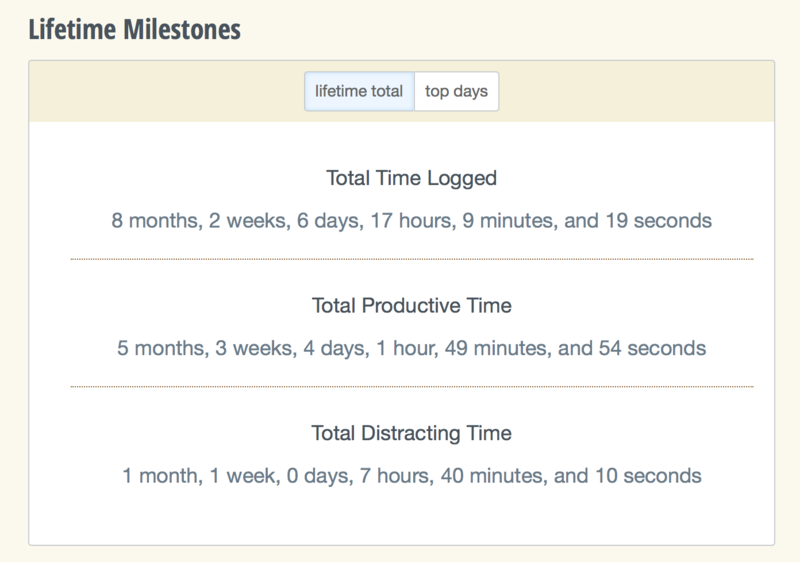 Your top activities for the day are shown, along with your goal progress, and your lifetime milestones. There is a variety of other information that you can find by hovering over the page content and by using the provided links and tabs. On the left is a report of cumulative time recorded for the day with a graph of its distribution throughout the day. In the middle is the Productivity Pulse which is a score from 0 - 100 and indicates the level of productive activity within the recorded time. 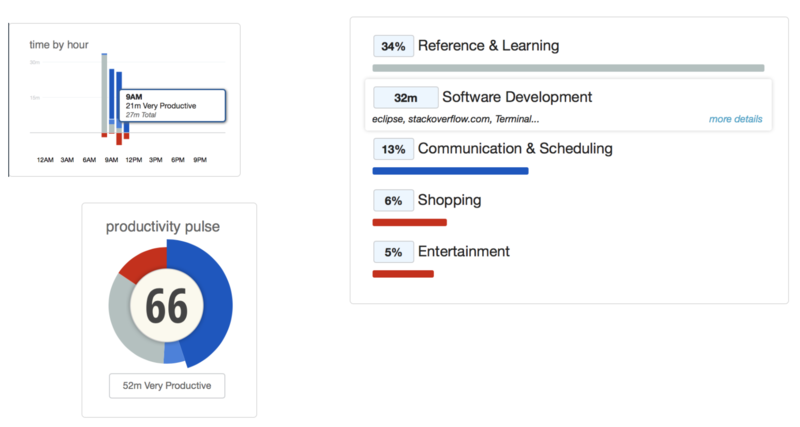 It is calculated as the average, weighted by time of the different productivity rankings of the activities within RescueTime. On the right is a breakdown of the percentage of time spent in the top categories of the day. By moving the mouse over the different sections, you can find additional detail. 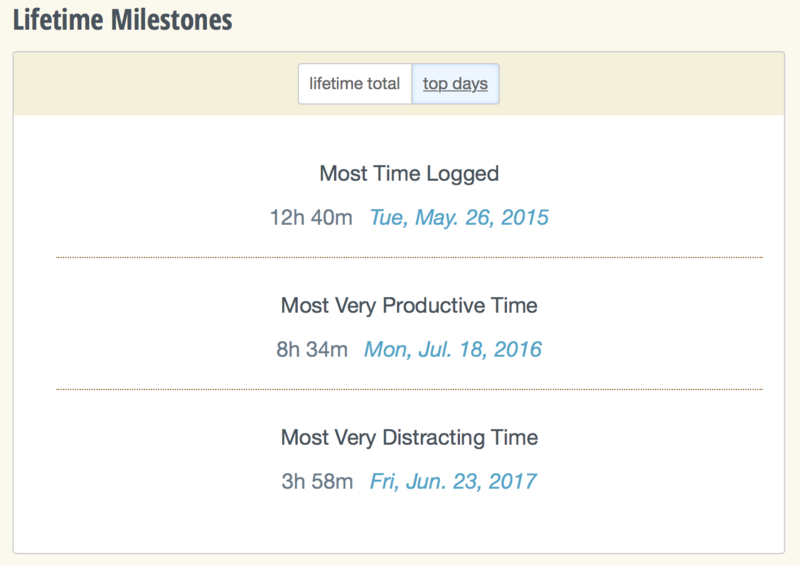 Next, you will see a breakdown of your activity by category, for the categories having the most time logged, along with a report of your goals and recorded daily highlights.